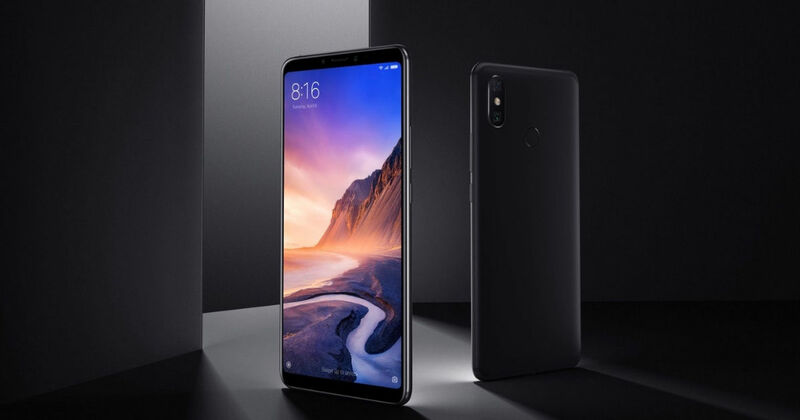 Xiaomi announced the Mi Max series of phablets back in 2016 to cater to multimedia users who want phones with large displays and big batteries. The series has been meted with a great response and has seen three generations so far, with the last launch being Xiaomi Mi Max 3 (first impressions). Now a leak suggests that the Beijing-based phonemaker is working on the next generation Mi Max 4 and Mi Max 4 Pro. The leak reveals key specifications as well as the pricing of the upcoming smartphones. According to the latest leak from Weibo, spotted by BGR, the Mi Max 4 will come flaunting an all glass body with Corning Gorilla Glass 5 on the front and back. The display on the smartphone will measure a whopping 7.2-inch featuring an impressive screen-to-body ratio because of the waterdrop notch and a minimal bezels below the screen. Xiaomi will utilise the Chip on Flex (CoF) technology to achieve this feat. The leak also mentions Snapdragon 660 processor will keep the phone ticking, which is a good upgrade over the Snapdragon 636 SoC that powered the Mi Max 3. The smartphone is speculated to be offered in three configurations – 4GB + 64GB, 6GB + 64GB, and 6GB + 128GB. In the camera department, the smartphone is likely to flaunt the 48-megapixel Samsung GM1 sensor, the same as Redmi Note 7 and feature the Super Night Scene mode as well. The smartphone is rumoured to boot the Android Pie-based MIUI 11 and powered by a whopping 5,800mAh. As for the more powerful Mi Max 4 Pro, the handset is rumoured to feature a Qualcomm Snapdragon 675 SoC and, 6GB + 64GB, 6GB + 128GB, and 8GB + 128GB options. The handset will also get an in-display fingerprint sensor and an improved 48-megapixel Sony IMX586 sensor. On the front, the smartphone will feature a 20-megapixel shooter. As for the prices, Mi Max 4 4GB + 64GB variant is tipped to retail at RMB 1,599 (~Rs 17,000), while the 6GB + 64GB option could cost RMB 1,799 (~Rs 19,500). The top-end 128GB variant will reportedly cost RMB 1,999 (~Rs 21,500). The Mi Max 4 Pro, on the other hand, is shrouded in mystery when it comes to the pricing. Unfortunately, the availability details are also not known at the moment.